YouGov Review - The Truth About The Industry Veteran! 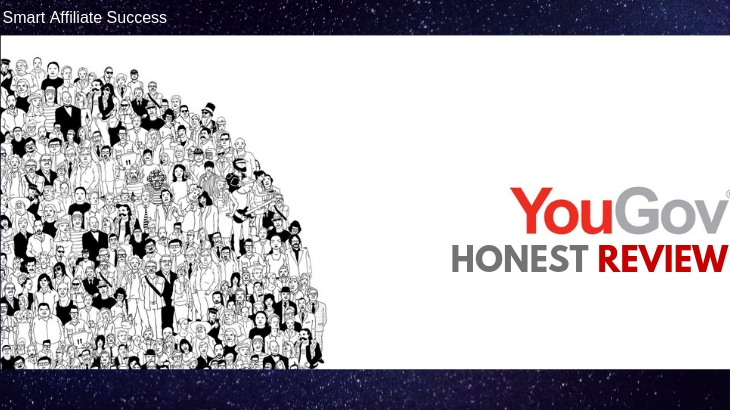 →YouGov Review – The Truth About The Industry Veteran! What I Like About YouGov? 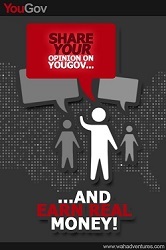 YouGov is an online community of people who like to share their thoughts and opinions. And no, it’s not a social media site. 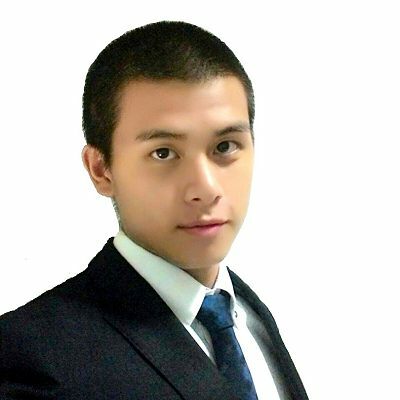 It’s a paid survey program run by an online market research firm in the UK. But unlike a lot of the market research companies out there where they cater to products and services, YouGov is geared towards current events and other controversial topics. As mentioned, YouGov is a market research firm that was founded in 2000, so their reputation precedes them. Their research methodology is based on weighing responses collected through their online polls with their demographic information. With its headquarters in the UK, YouGov has multiple bases of operation in Europe, North America, the Middle East, and Asia-Pacific. YouGov sends you surveys and uses the data they collect to help shape the news and improve decisions made by their client. In return, you get paid with points which you can turn in for cash money or gift cards. 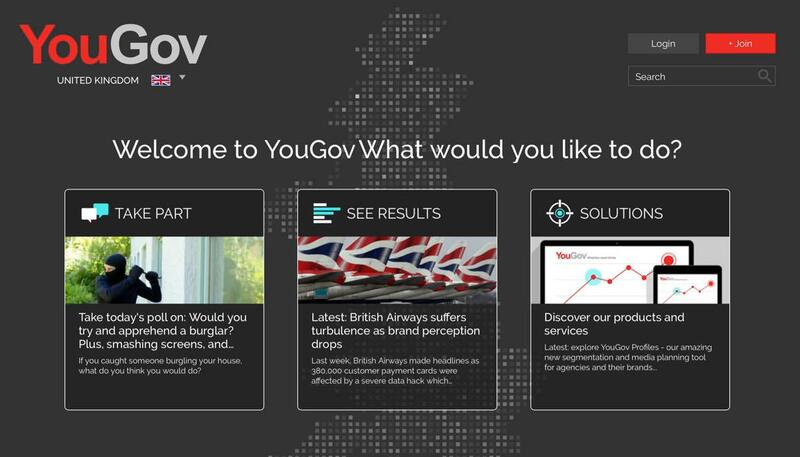 How To Get Started With YouGov? You can sign up on their website or through their mobile app. You also need to use the flag button on their screen to choose from different YouGov regional sites. Once you’ve selected your relevant country, click the join button to take you to the entire sign-up process. Like with most survey sites, you can opt to sign up with your email address or linking your Facebook account. I always choose to sign up with my email address. After completing registration, you’ll be sent an email with a link to your first survey, which is their demographic survey. This only takes about 5 minutes of your time and will credit you 100 points after completion. Once this is done, you’ll be ready to take on their other surveys. 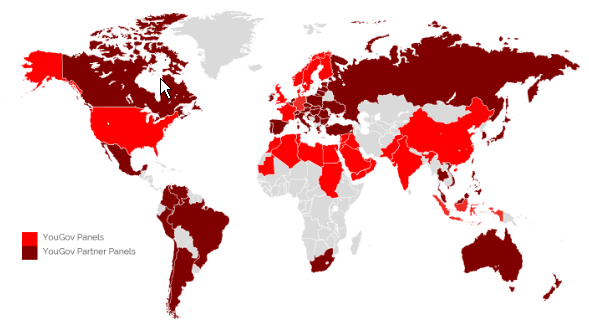 The light red colors on the maps are YouGov Panels, while the darker colors are YouGov partner. YouGov panels means that there are specific panels for each country, so the surveys are usually in your local language and will be relevant to your country. YouGov basically allows you to earn money with some surveys, and you can see all the available surveys once you login to their site or through the app. You’ll also receive survey invitations via your email. Each survey takes about 5 to 20 minutes on average, and rewards you with 50 points at the bare minimum. You’ll need to reach 5000 points to get about to the minimum cash payout, which is £50 or $64.75 at this time of writing. There are also times where you’ll receive bonus questions after a survey, so they’re worth a few more points. 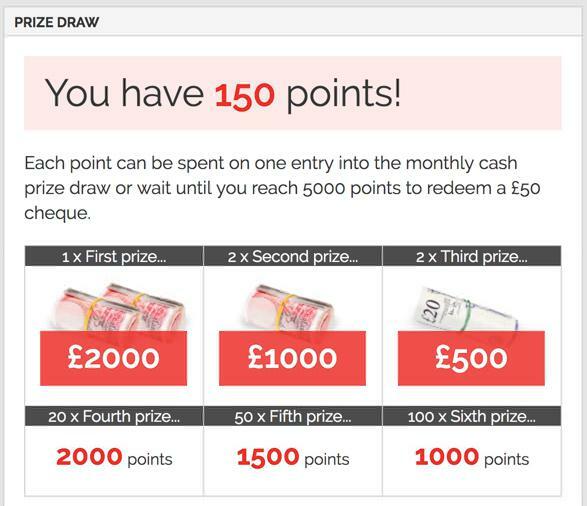 You’ll also have the option of using your points to enter into their monthly prize draw to earn more cash. Each point you enter is equal to one entry into the prize draw. Now, this is not that enticing to me as I’ve reviewed other survey and GPT (Get Paid To) websites that pay out more with a lower cash out requirement. If you really want to make it worth your while with these sites, I would suggest going for sites such as ClixSense and PrizeRebel. 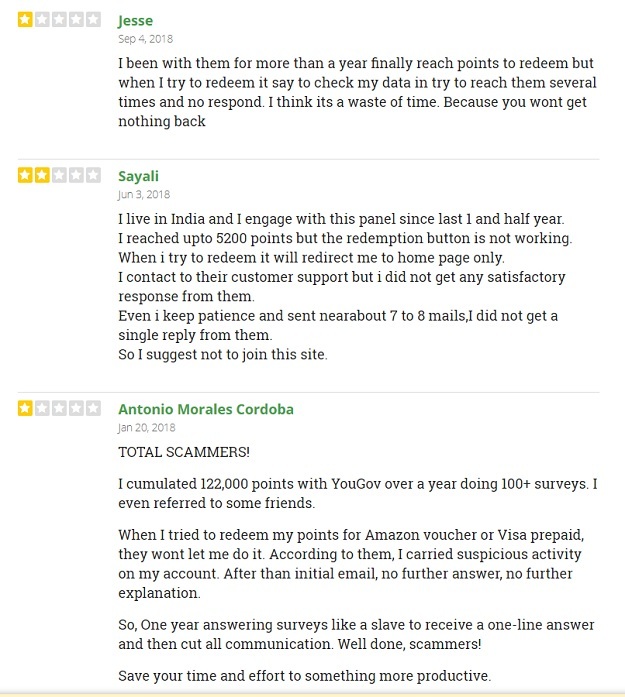 To supplement your income with YouGov, they also have a referral scheme in place. For every person that signs up using your unique referral code and after they complete 6 surveys, you get 200 points. But this is not that enticing given that your friends or the person you referred needs to complete surveys before you get something out of them. YouGov is not your typical survey site, so if you’re looking for a newer experience, then this one is worth looking into. If you’re also updated with current events and you want to make your voice heard while getting paid in the process, then this site is just for you. But I’m about to go into the pros and cons of this website, then you might want to check them out first before you actually do check them out. Despite providing their users with a unique survey experience, YouGov unfortunately provides you with a very common problem associated with survey sites. And that is low income potential. Each survey averages 50 points at the minimum, and takes about 5 to 10 minutes each. And let’s say you go through them at 10 minutes each, no matter the length. You’ll need to take about 100 surveys to reach 5000 points in order to reach the minimum cash payout of $65. And at 10 minutes each, that takes you at about 1000 hours or 41 Days at least to reach that amount. That’s the ideal rate that you want. But sadly, YouGov is not going to give you that at all. You’ll need 100 surveys to get to the minimum cash out requirement, and it will take you 41 days to do that. That’s assuming that you have surveys available at every hour. But YouGov doesn’t provide you with that many surveys. In fact, you’re only going to be seeing one survey a day at most. That puts you at about 7 surveys a week. How many weeks will it take you to reach 100, you ask? 14 weeks or roughly 98 days and a couple of days added. 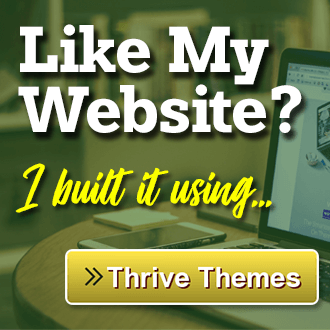 Your income potential went from low to zero! It’s quite typical for a survey site to have complaints about customers not getting paid. And being a survey site that’s been around for 19 years, you’d think that YouGov wouldn’t have had this problem. I managed to dig up what other people said about the site, and most of them were about not getting paid. This was just from a small group of users from another site that reviews survey sites like YouGov. 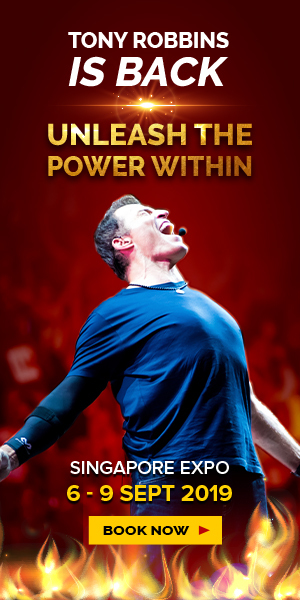 Quite frankly, I am disappointed by how things turned out in this review. YouGov is a promising survey site that could’ve stood on its own because it’s been around for 19 years. But with all of the disadvantages that I listed, it’s difficult for me to mention one good thing about this site that could salvage my thoughts on them. YouGov is a legitimate paid survey intermediary run by an online market research company, so it’s far from being a complete scam. 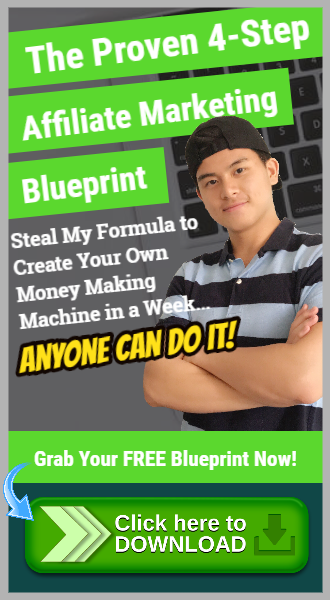 However, there are several things that doesn’t make me want to recommend this program to anyone looking to earn money online. 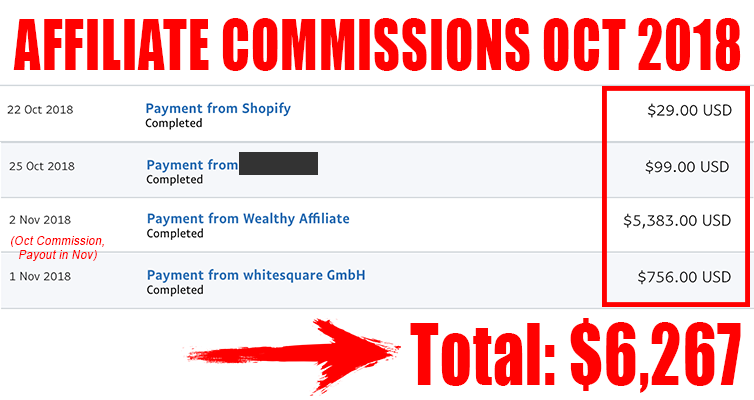 The biggest factor that really dictated how this review went was its very low income potential. The math proved (twice) that it’s going to take you at least 3 months to get paid the minimum cash out amount of $65. That’s just way too long a time, and I am quite positive that there are other survey sites and GPT sites out there that pay out more in a shorter period of time.